The "Hafnia Daisy" was unable to retrieve its anchor due to a windlass failure at Les Razades anchorage, 11 miles southeast of Les Escoumins, Quebec, in position 48 12 26.9 N, 69 13 24.6 W, on Dec 20, 2018, at 9.10 p.m. The crew carried out the repairs and the vessel resumed its voyage. 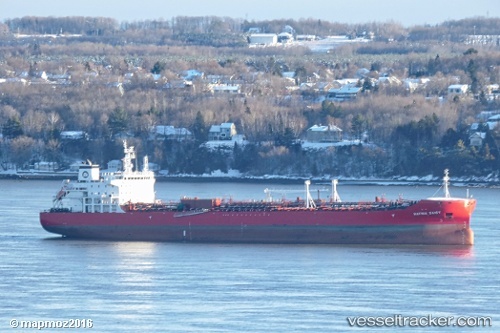 It berthed in Quebec on Dec 21 at 8.20 p.m. and continued to Montreal on Dec 22, where it arrived on Dec 23 at 5.50 a.m.